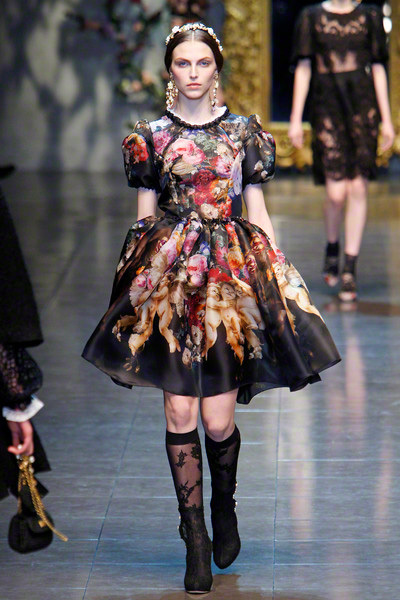 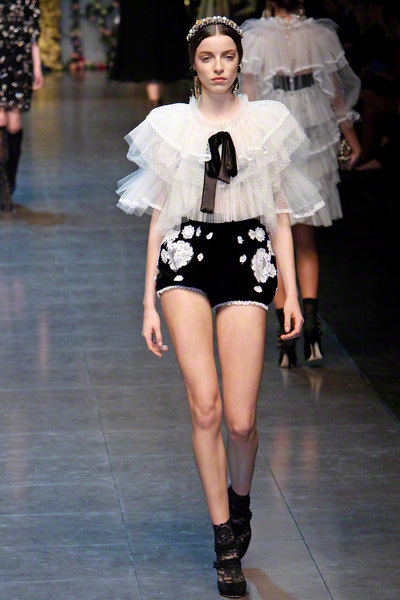 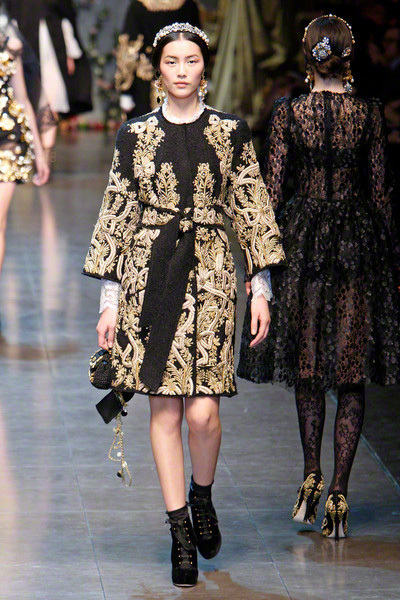 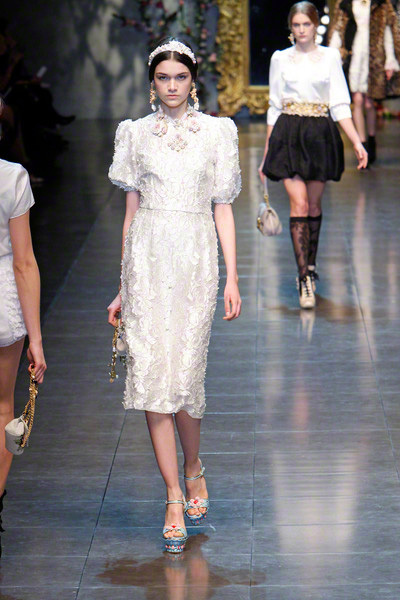 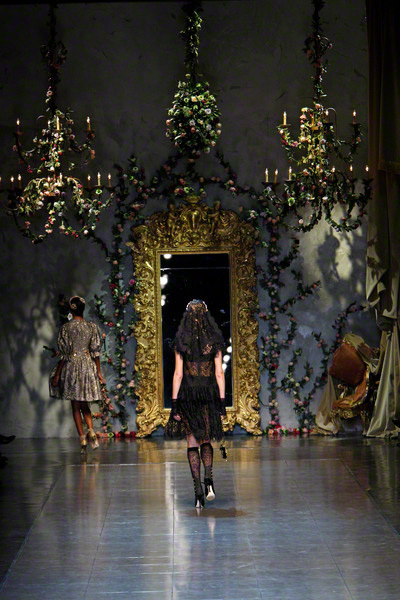 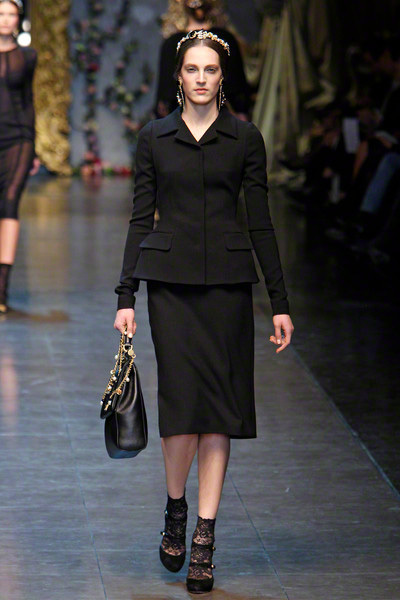 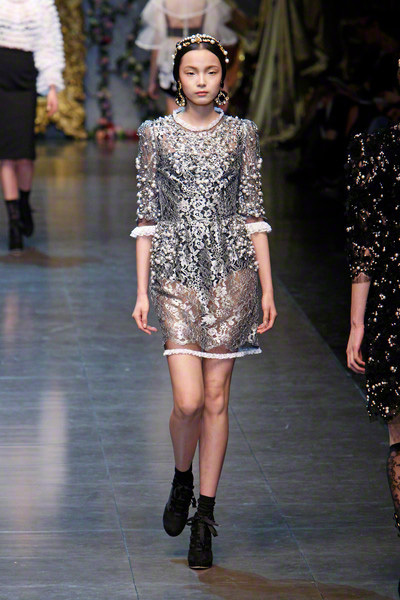 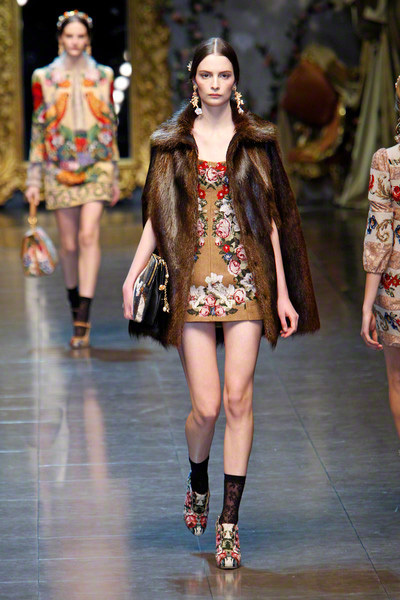 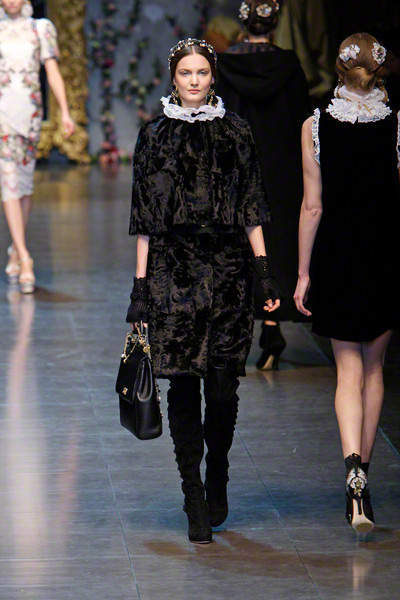 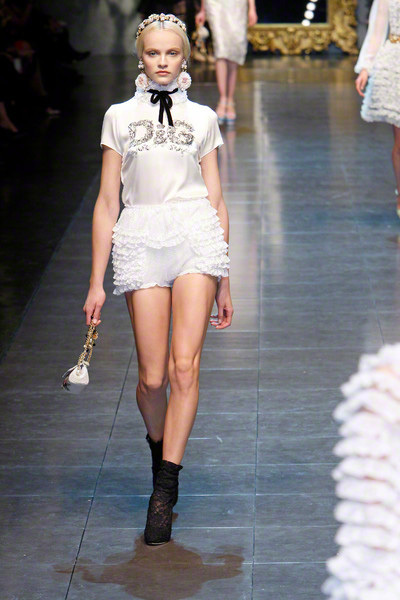 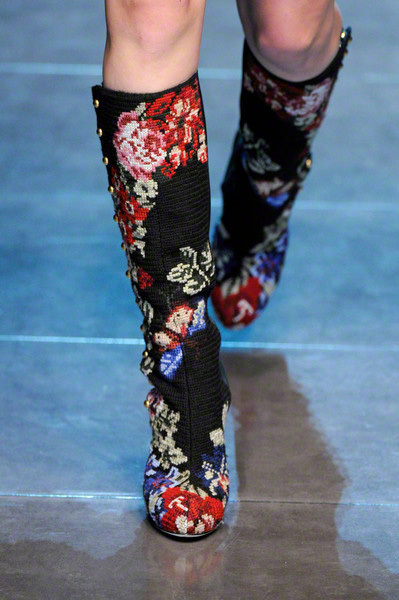 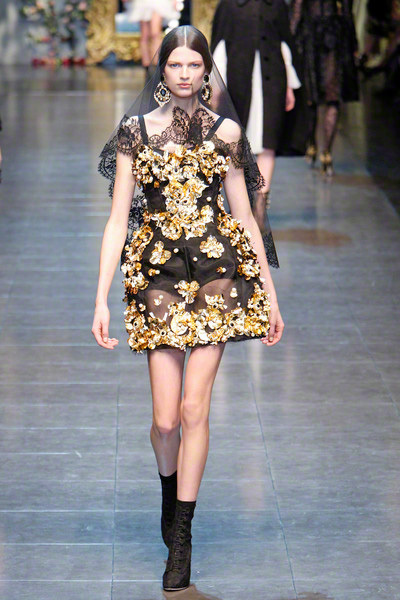 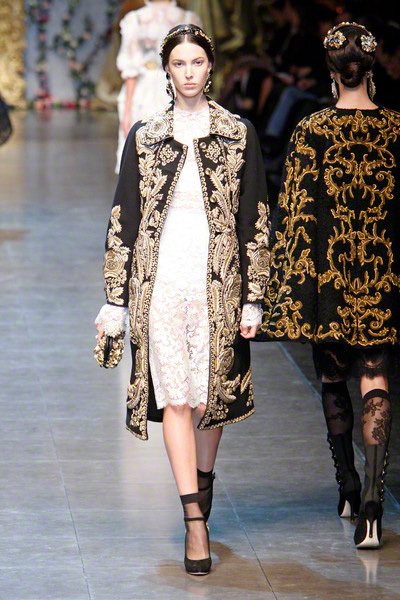 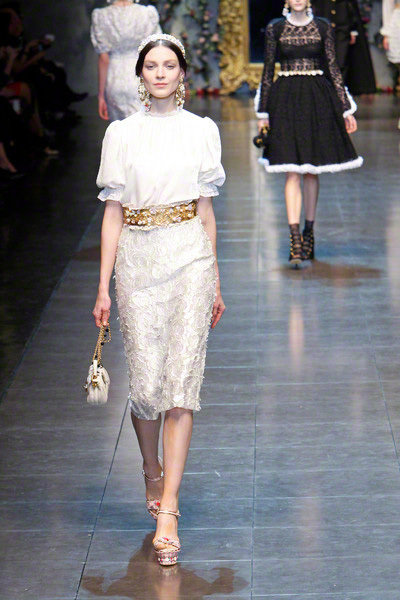 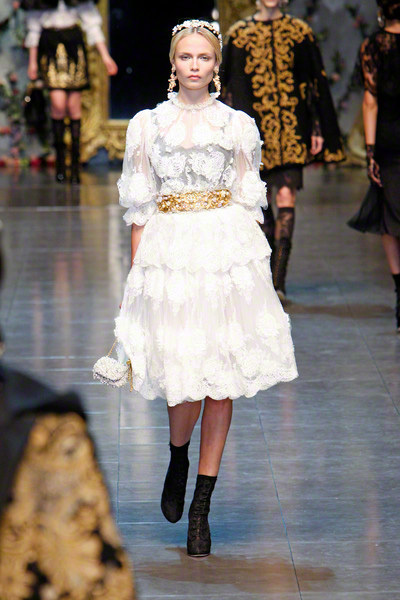 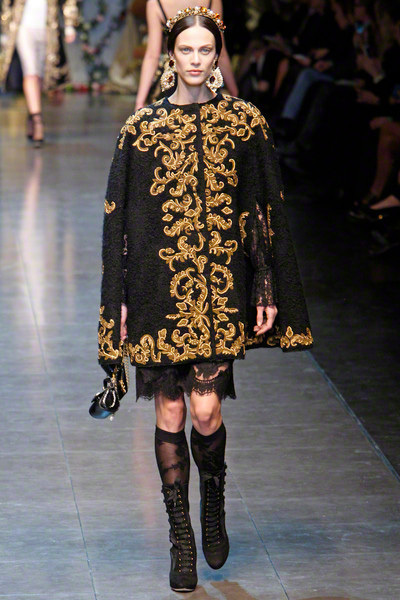 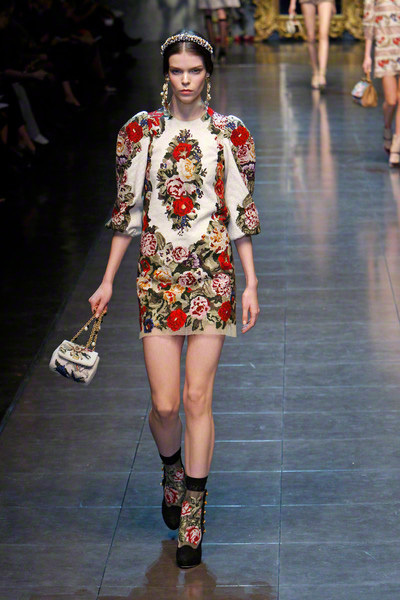 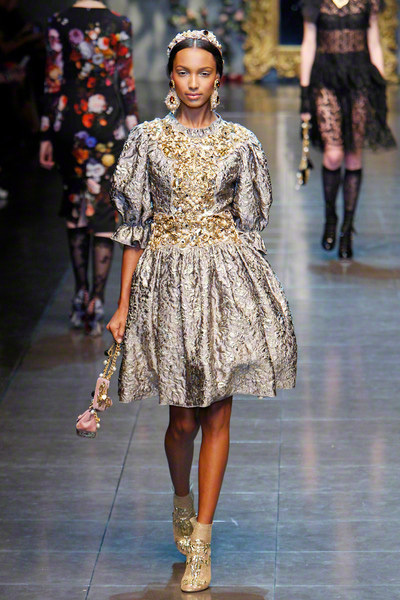 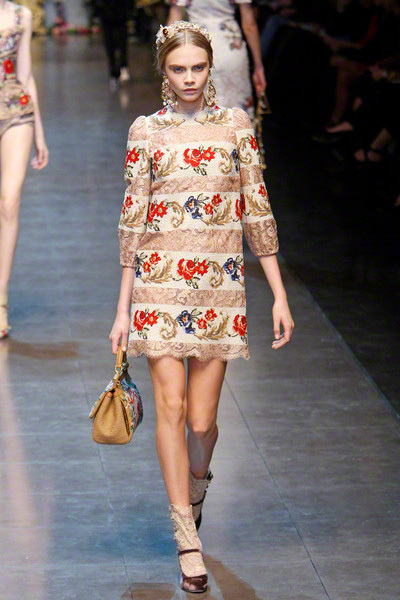 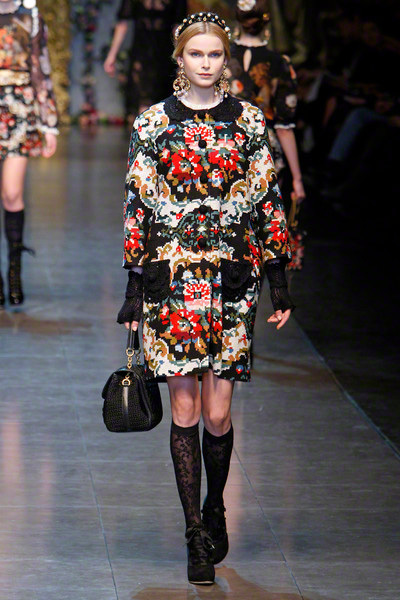 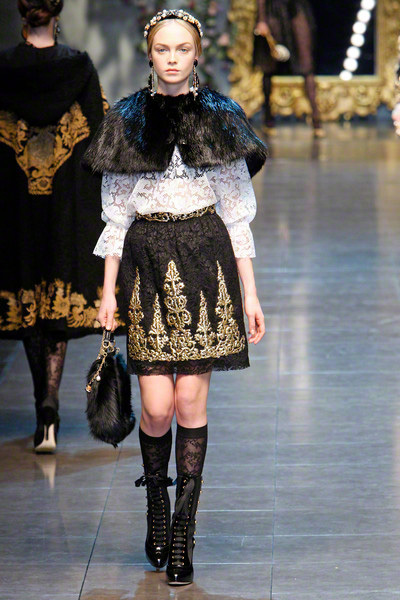 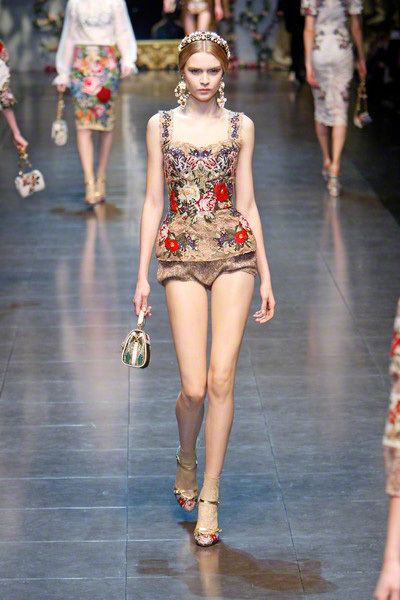 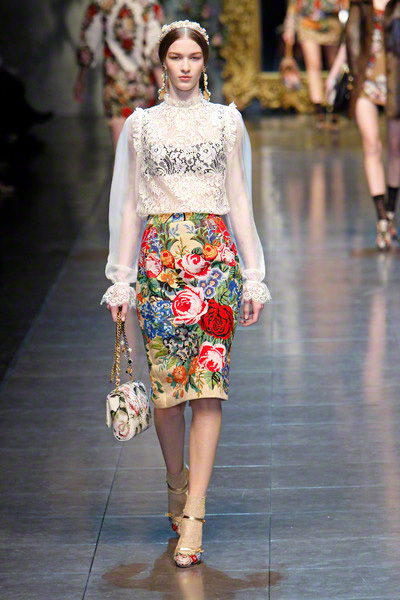 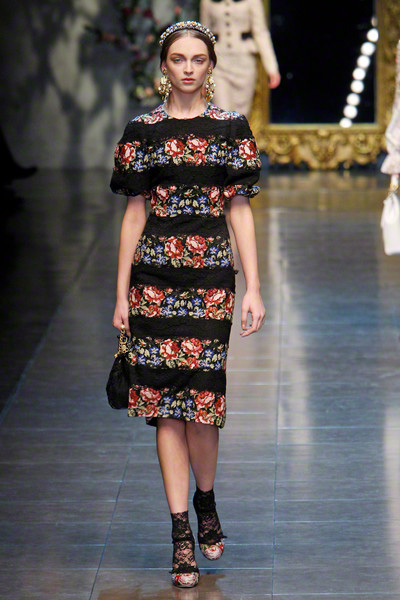 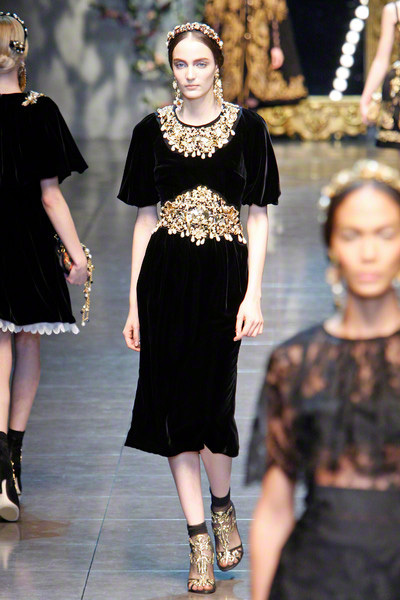 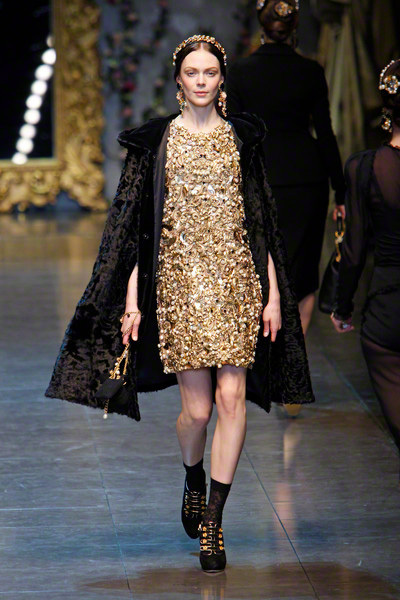 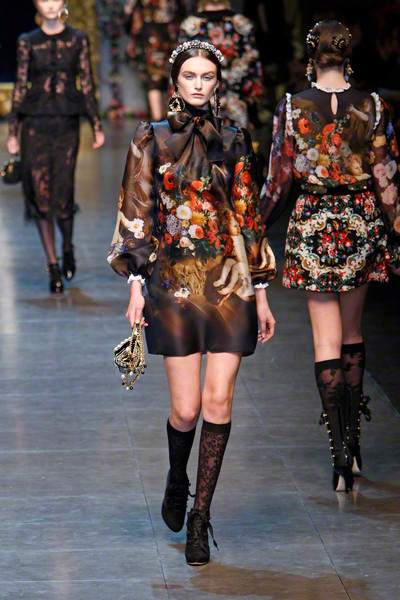 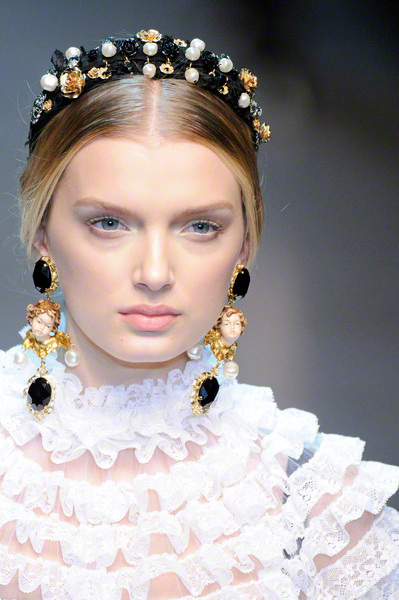 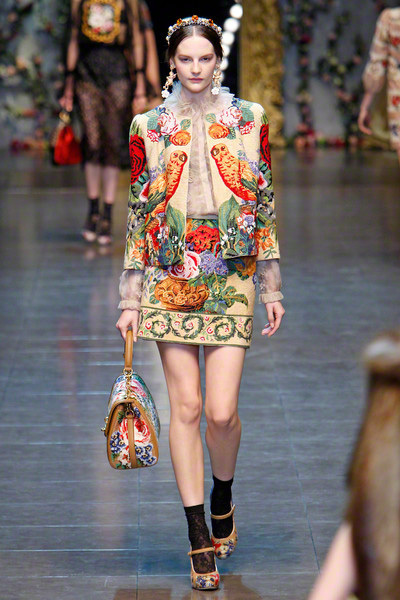 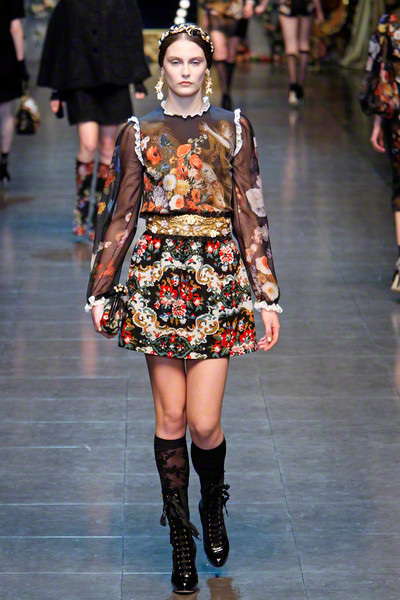 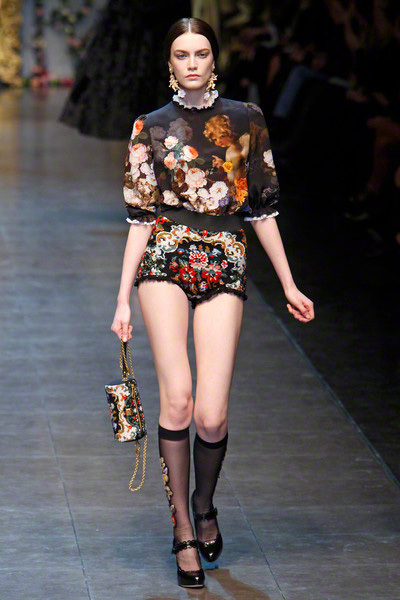 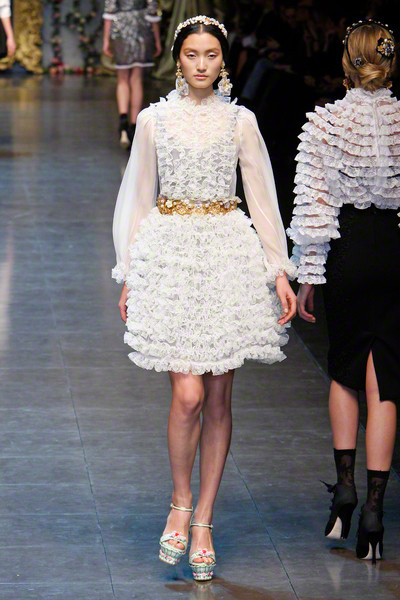 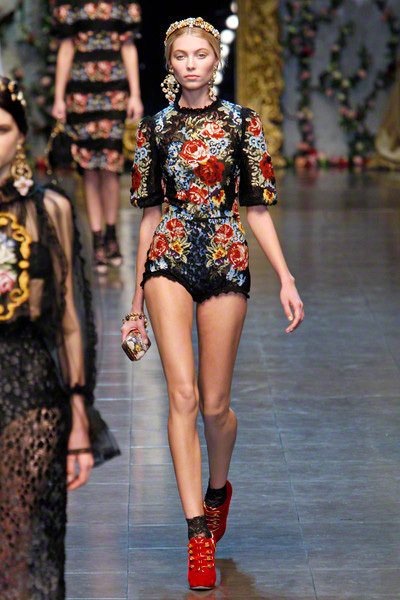 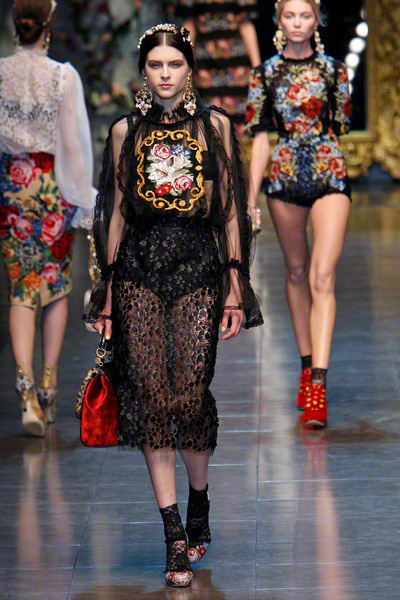 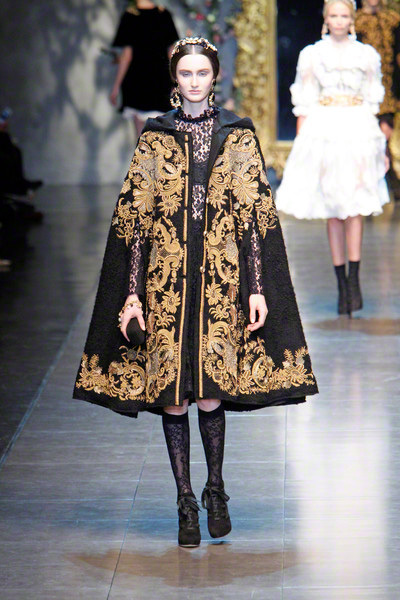 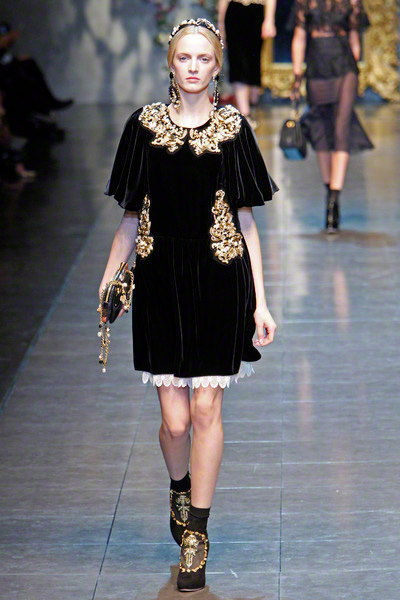 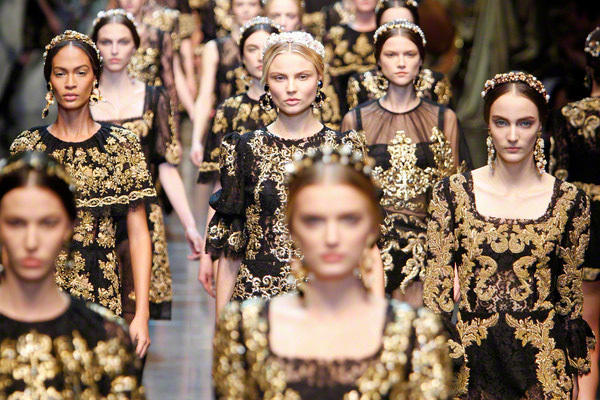 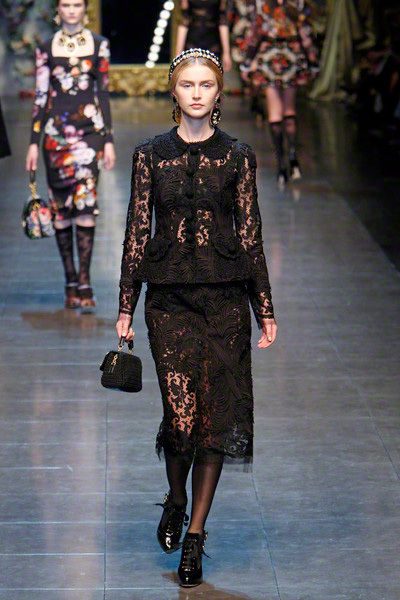 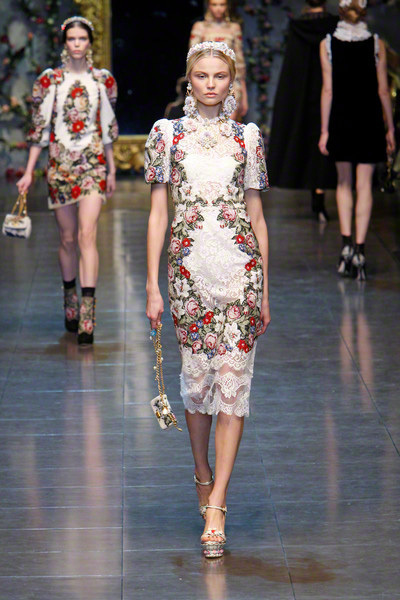 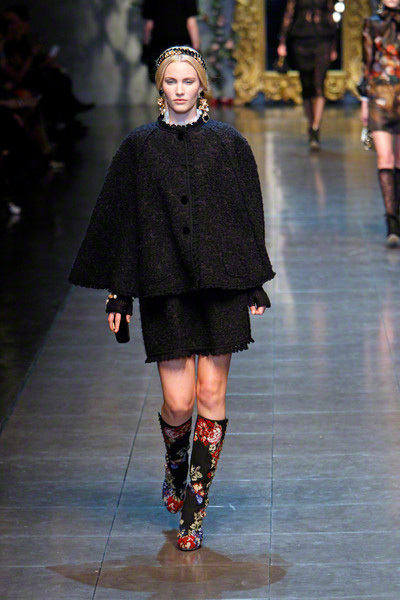 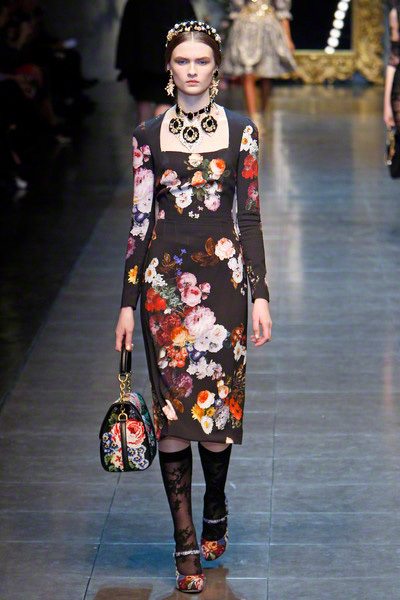 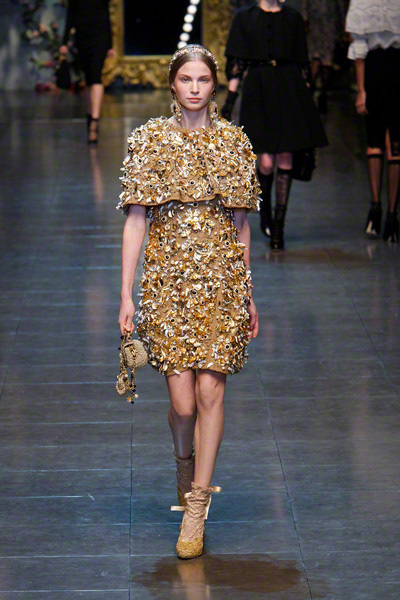 It seemed a never ending collection that Dolce & Gabbana sent out this afternoon. 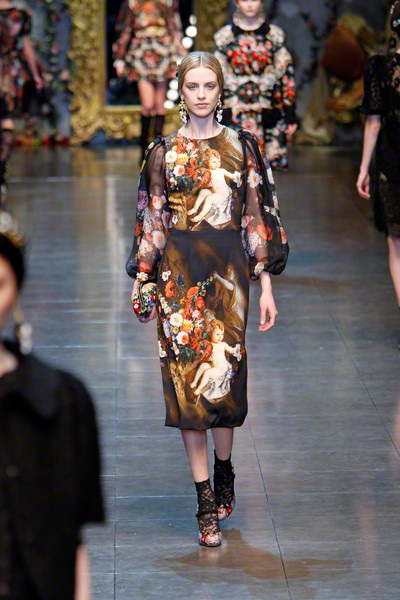 A collection that captured Italy’s love for drama and opera. 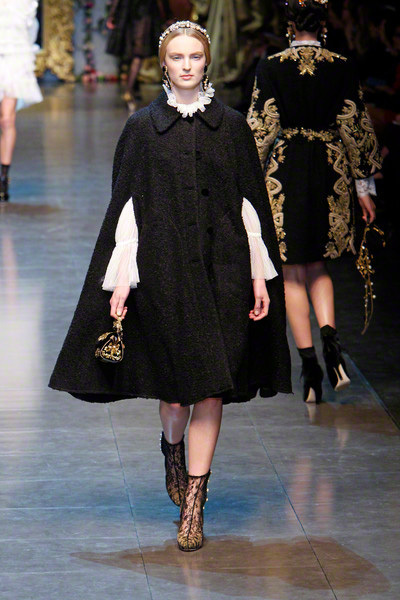 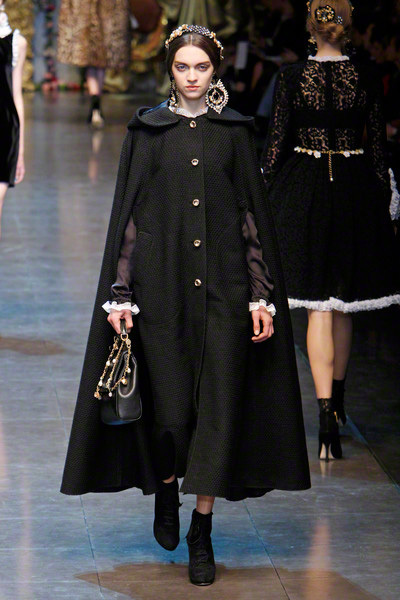 Pavarotti was on the soundtrack singing O sole mio and out came the models dressed in baroque black velvet and gold brocade, covered with dramatic capes, dresses embroidered with images of painted old theater-ceilings. 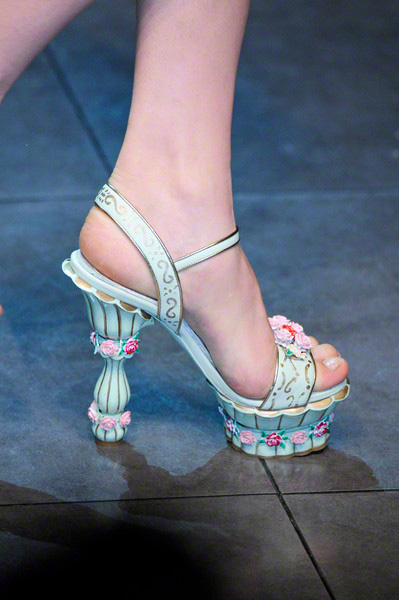 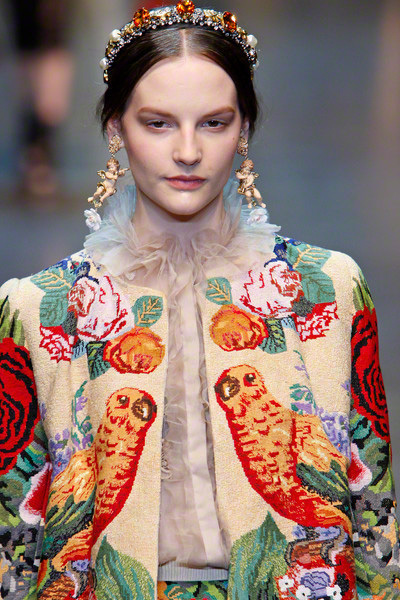 Even the earrings looked like little cherubs and shoes reminded of theater furniture and decorations. 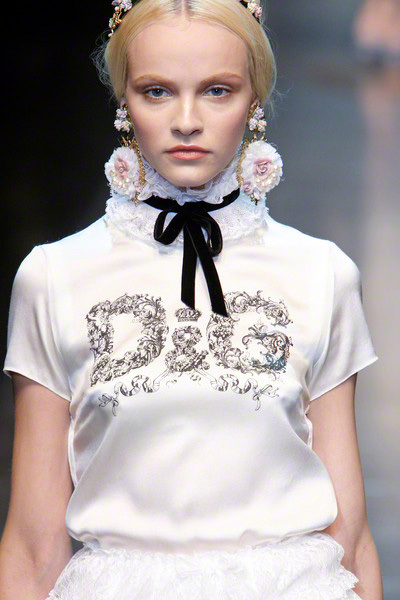 The press release said the starting-point was the tradition of Sicilian Baroque, which evolved in volumes and processes, experimenting in new cuts and decorations: golden embroideries that recall Baroque mirrors and frames or embroideries made of small points inspired by dining room tapestries; prints of cherubs and angels that appear to have come out of a painting.